Trace : -find or discover by investigation. – find or describe the origin or development of. – follow or mark the course or position of (something) with one’s eye, mind or finger. – take (a particular path or route). – Make an outline of something. 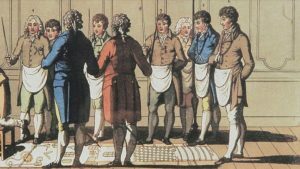 According to the historical records, during the early years of speculative Freemasonry, when Masons gathered for Lodge, one brother often the tiler would trace an outline of the lodge on the floor. This would be accompanied by various symbols and drawings. When the meeting was over, the tracings would be wiped away with a mop and pail. In France, the brethren began a new practice, that of creating special rugs or carpets that contained the various symbols of the degree. These rugs would be unfurled during the degrees and the symbols would be pointed at by a sword to the initiate. From here tracing objects continued to evolve due to cost, ease of storage, and the predilections of individual lodges. Soon they evolved into the current Tracing Boards we have now. This is not to say that Tracing Boards evolved directly from floor cloths and the like, but that they reflect the same spirit and need. I.e. 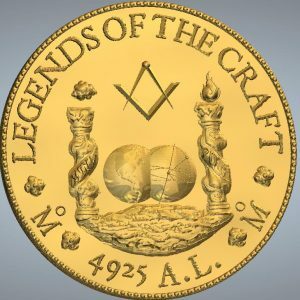 the desire to want to artistically represent the craft and also a tool for Masonic education. The History and development of tracing boards. Canadian paper on tracing boards. 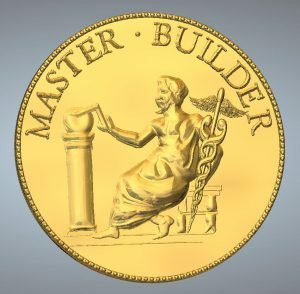 Our tracing items are designed for masonic growth and development. The combination of ingredients creates excellent food for thought. Below is a break down of coin and pin symbols.